Is your beach house looking dated? Or maybe you're planning to buy one, and you'd like to remodel it? Whatever your beach house decorating needs are, let the pros help. Here are 13 beach house decorating ideas that are as fresh as a summer breeze. The only frustration you might have is the decorating. Maybe your beach house is looking dated, or perhaps you're planning to buy one and are looking to redecorate it. With that in mind, we've put together this article sharing some of the best beach house decorating ideas we've come across. Your beach house should be a modern or classical display of splendor, not an ornate showing of HomeGood's finest. Instead of going for a shell theme throughout your beach house, think outside of the box. What you can do instead is give your home an overarching style choice. Sticking to the shells style, don't go for a shower curtain covered in shells. With 34% of 30 to 59 year old's upcycling to create something by themselves and 27% doing it for fun, upcycling has become a popular new trend in the last few years. Try to incorporate an element in your wall cladding that ties into another area of your beach house interior. We've seen wood paneled walls created as feature walls which is the same finish of wood as the chairs in a separate room. You'll find that a lot of coastal homes will feature faded furniture in its design choices. This is a key element to creating that sailor styled home. There's something particularly delightful about a beach home, with the sand in the view and a light breeze rolling in. For those warm days when you want the windows open wide, consider some decorative window options. You can imagine a deep copper bathtub in a ship captain's quarter, and that's what gives such a fine addition to your bathroom it's charm. A nautical theme might feel a little cliche in your study -- unless you go for a full wall nautical map, that can be pretty epic -- but for children, it's a perfect choice. You'll also find the bright colors associated with nautical themes can brighten up a room as well as keeping your kids happy with your choices. One of our favorite design ideas we've seen is using the coastal faded wood design but as a wooden wall cladding. White-washed cladding helps to give your kitchen an instant beach-hut style feel. One of the biggest things we hear about coastal designs and beach houses, is they make people feel relaxed. It's something about the fact your thousands away or just a few feet away from the waves. You always want to start with a neutral base of colors. Don't use monochromatic color tones for a harsh contrast, instead focus on muted tones. Off-whites, sandy colors and softer greys can create an environment that feels both inviting and soothing. You'll often see suggestions of bold colors in contrast to soft muted tones, but in a beach home, it's sometimes nice even to keep your accent colors muted. You'll find that layouts in modern coastal homes are the key difference to the traditional styles you may have seen in the past. Old fashioned coastal homes focused on heavily filled floor plans. To mix up this minimalist style, you should focus on the room's function being the highlight. For a dining room, that means making the dining table the feature. For a living room make the sofa the highlight. Bear in mind that when incorporating these design changes, the furniture you use will be especially important. 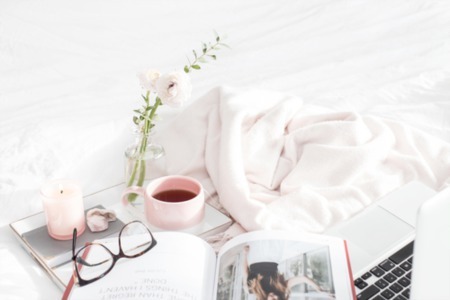 With fewer accessories cluttering up your room, if your furniture doesn't stand out, it may leave you with a drab and lifeless feel to the room. 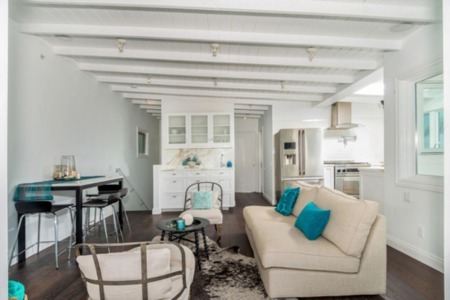 With beach house decor, one of the most important elements to consider is how your rooms elements look like they feel -- also known as visual weight. One of the biggest things you'll notice about the beach is the feel of it. It's tactile. You want textures which don't just feel obvious; you want them to be visually obvious. Bear in mind; it's still your home, so you don't want everything to be sharp edges and jagged surfaces. Mix up those textures with soft components like blankets, plush cushions and throw pillows. 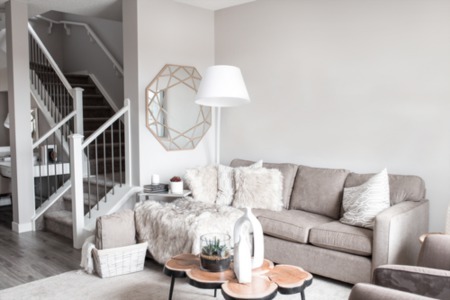 There's nothing wrong with mixing things up though and incorporating a few modern elements like trendy statement pieces of furniture or lighting. This mixture of modern and traditional can give your home a quirky twist. One of the final takeaways is to not get too wrapped up in the beach house classical cliches. We've seen many a home in need of a decor makeover from getting nautical fever. From anchor themed wallpaper, paired with seashell rugs and rubber rings clad in starfish, there's nothing cute or appealing about those styles. If you want to add a touch of coastal elegance, stick to the small details. Don't cover your room in fish netting, use it in a small feature like a small amount of netting used as a curtain tie-back. What Beach House Idea Fits Your Home? 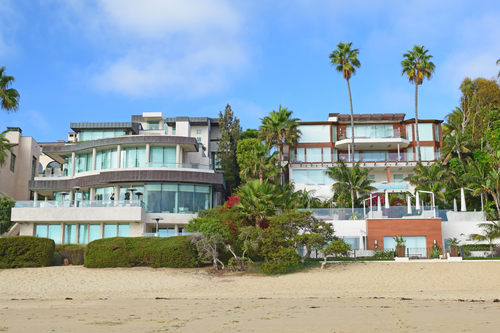 If you are considering purchasing a beach house in San Diego or one of San Diego's oceanfront homes for you and your family, get in touch today.